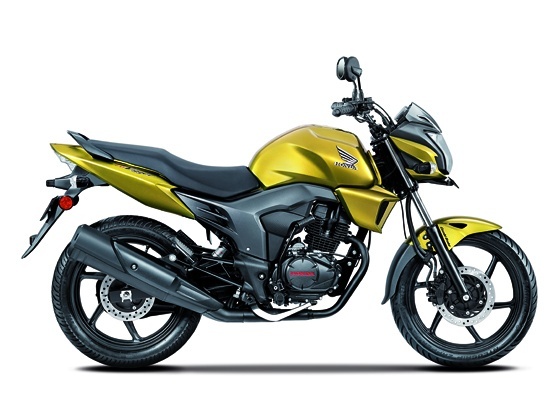 Guwahati, Jun 18 : Country's second largest two-wheeler maker Honda Motorcycle & Scooter India today launched 150 cc motorcycle CB Trigger for the North-East aimed at capturing 20 per cent of the market in this segment in the region. The CB Trigger is priced between Rs. 70,315 and Rs. 79,900 (ex-showroom, Guwahati), Vivek Taluja, Honda Motorcycle & Scooter India (HMSI) Division Head (Regional Office East), told reporters here. The bike, which will compete with Bajaj Auto's Pulsar, claims to give a mileage of 60 kilometre per litre. Talking about sales expectation from this region, Taluja said, "The 150cc category market in the North-East is around 2,600 units per month. We are targetting to capture 20 per cent share with the CB Trigger." The company is currently working on organising a rally from Guwahati in Assam to Tawang via Bombdila in Arunachal Pradesh to give its brand image a boost, and is inviting Honda customers to take part in it, he added. "We are interested in organising a bike rally in the North-East to strengthen our brand image. We are considering to do it this year," Taluja said. When asked if it will be for all HMSI buyers, Taluja said, "Usually premium bike owners are more willing to take part in such adventures. We are looking to invite customers who have bought bikes of 250cc or above category." HMSI at present has 17 dealers across the North-East region, and it is adding 3-4 more by the end of this year, he added.